Hi everybody .... having not used my camera in over a year ( just lost my mojo ) .... this will be a good reason to dust off the A900 and join in. I guess I should join in as well. I will try to use a different 50 every day. I'm in, hope to finish this one! Be using a Minolta 50mm 1.7 and the Meyer. I haven't participated in Week 50mm in ages, not since 2013 according to my Zenfolio folders. So, let me give it a shot for this season. I'll use my new A7II with a variety of lenses. I am looking for a good budget AF 50 for it. I have plenty of options to focus manually. The Sony AF 50 F1.4 seems to be the best of those. Canon EF 50 F1.8 STM and Sony FE 50 F1.8 obtained. FE 50 F1.8 returned. I haven't made a choice of lens yet but either Helios 44, Minolta 50/1.7 or Domiplan 50/2.8. I have the Minolta 50mm f1.7, f2.8 macro, and Sony f1.8 in A-mount, plus a rather dinky Miranda f2 (PK) which fits the Nex 6 with an adapter, and at least two M42-fit 50s including the Zeiss Tessar f2.8 and a charity-shop special with added fungus... Then I can always use the original Miranda f1.9 or f1.8 lenses with a spacer for macro work, so I figure I have plenty of choices for hardware. The issue will be finding something worth taking pictures of in dark and dismal England. Wait! Christmas lights! @addy ... thanks for the film challenge tip. Considering. I haven't done a challenge since 2012, it's probably time to get back in. I'll try to take all my 4 50's on a spin. 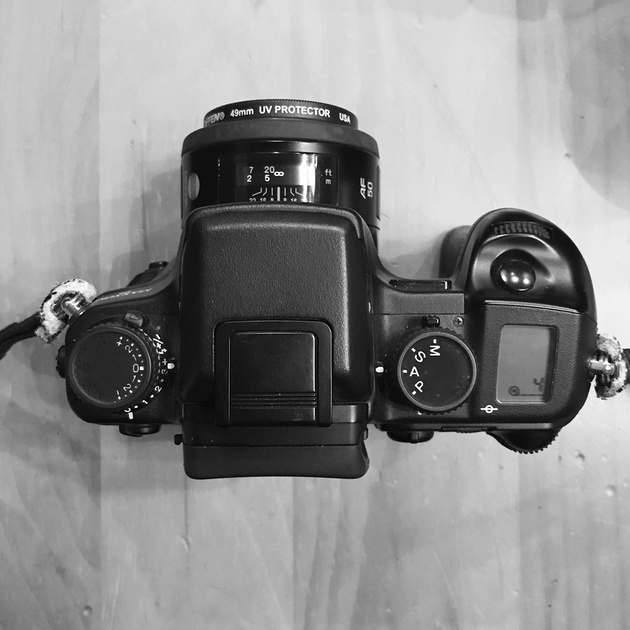 Minolta MC Rokkor PG 1.4 and MD Rokkor 1.7 on Sony A7, Sony 1.4 and Sigma 2.8 Macro (1st gen AF) on A99II.